Have you admired the Indiana World War Memorial lately? Or walked through Obelisk Square or University Park? Before the Indiana World War Memorial Plaza was constructed, the area contained many upscale apartments and residential homes. This desirable neighborhood, just north of the commercial district and in a very centralized location, was home to many apartments, including the Chalfant and the Cambridge. The Chalfant was constructed in 1896 with funds from John Chalfant New. The building at 20 East Michigan Street was designed in a Romanesque Revival/Richardsonian Romanesque style. 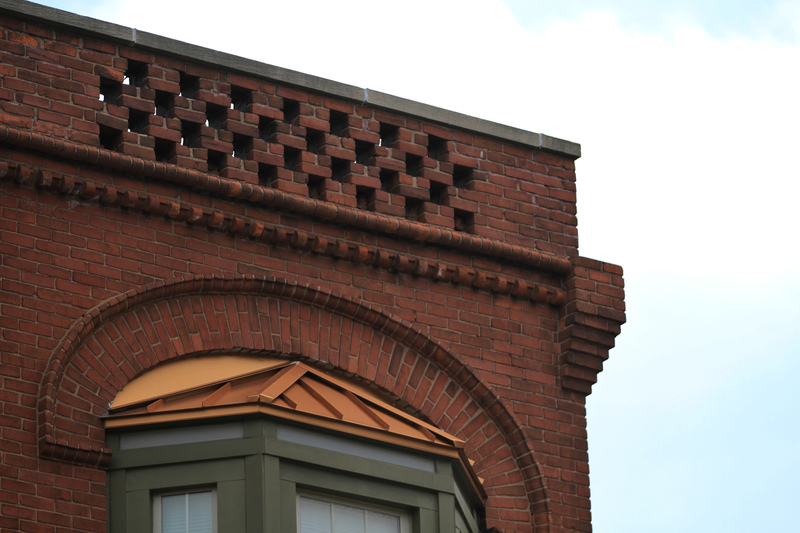 Important aspects of the style include terra cotta work, gabled wall dormers, polychrome stonework, and rows of deeply recessed windows (arched or rectangular with stone transoms). 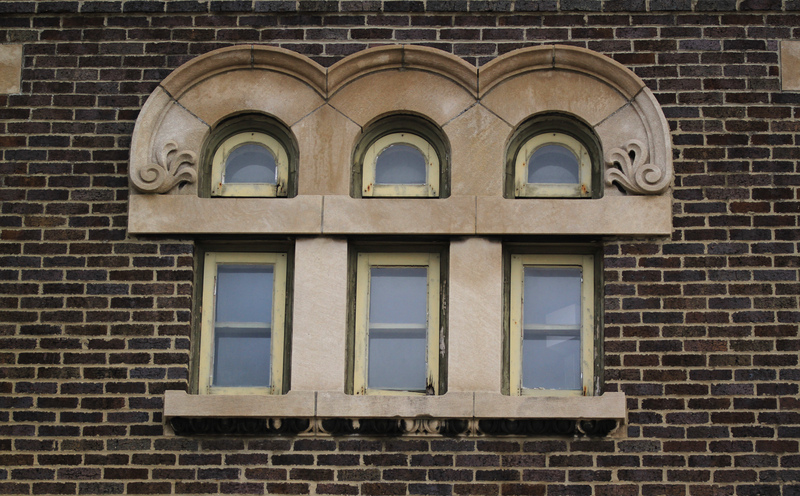 This style was reflected in the parapeted gables, towers, arching windows, and rusticated foundation at the Chalfant. Of note is the similar style of the present day Propylaeum, located at 1410 North Delaware Street. John C. New (1831-1906) was an important political and financial figure of Indianapolis. Father of Harry S. New, he was a banker, a lawyer, and a publisher. 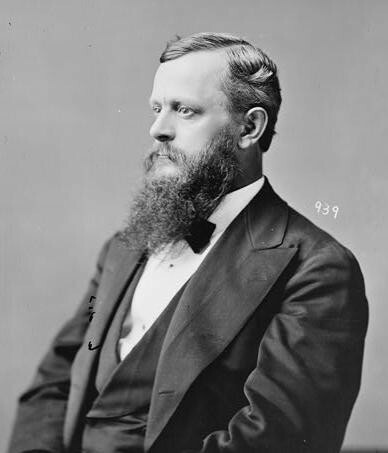 He was Treasurer of the U.S. from 1875-1876 and then First Assistant Secretary of the Treasury from 1882-1883. He also served as Chairman of the Indiana Republican Party in 1880 and 1882. He was also a U.S. Consul General from 1889 to 1893. The New estate was at 518 North Pennsylvania Street, just a few lots north of the Chalfant. 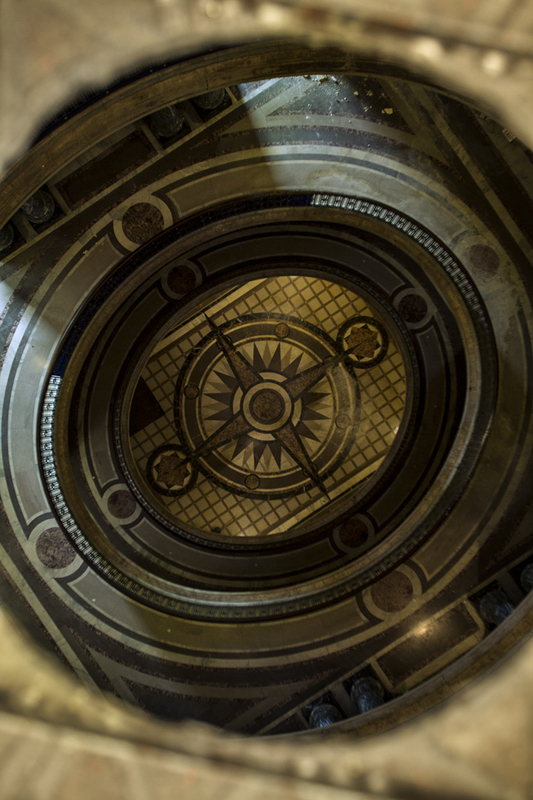 It was built by D.A. Bohlen and Robert Machette. An article from October 8, 1912, “42 Teddy Lithographs in Windows of Chalfant,” describes campaign flyers for the Progressive Party, aka the Bull Moose Party, of 1912. The block was described in papers as being very Republican with the New family being so well established there. 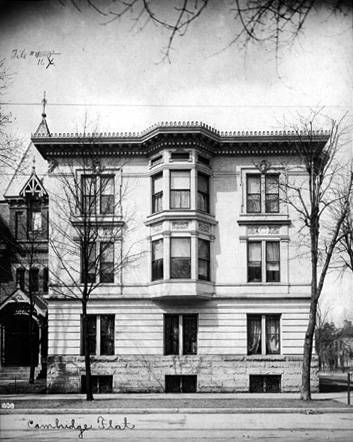 In 1903, the Cambridge was constructed at 21 East Michigan Street. Occasionally referred to as the Delano-Cambridge apartments, the two structures were separate but perhaps under the same property ownership. It had a common Beaux-Arts apartment style similar to previous buildings touched on in the Arlington, Clarina, and Marina. As mentioned before, the style is characterized by facades with quoins, pilasters, or columns; decorative garlands, floral patterns, or shields; a flat or low-pitched roof or mansard roof; and balustrated windows sills. Also mentionable from the photo: ground story rustication, an accentuated cornice, roof-line balustrade and a symmetrical facade. In 1920, the fate of the Chalfant and Cambridge was determined. An act of the Indiana General Assembly secured funds for the new memorial plaza. The IWWM Plaza was designed by architects Frank B. Walker and Harry E. Weeks in 1923; it was built in phases between 1925-1950. However, before work began on this Neo-Classical monolith, much work had to be done to clear the area. Plans were established in November of 1921 for the demolition of 45 buildings in the Memorial Square and the Obelisk Square – including a number of apartments and businesses. Some businesses of interest that were demolished include: Bobbs-Merrill Co., publishers; Clemmons Welding & Machine Shop; the Democratic Club and Coburn Photo & Film Co. Also of note were the original Propylaeum, the Delano apartments, Hotel Altenburg, and the San Toy apartments. It was a joint effort between the city and the county to take over the blocks bounded by Meridian, Pennsylvania, North, and Vermont streets. 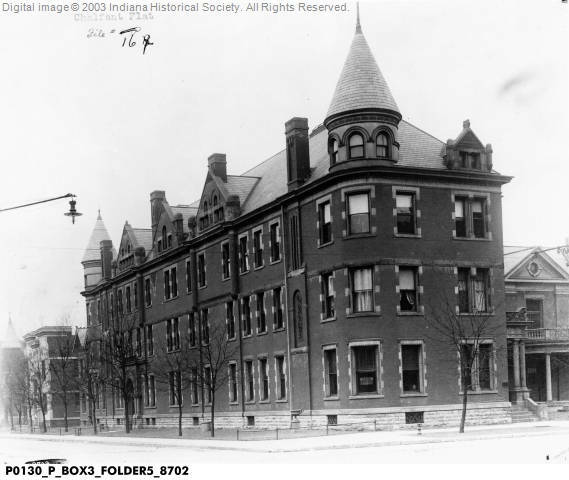 Appraisers were appointed by the city to value each property; the architect Robert Frost Daggett, who designed many buildings in Indianapolis, was involved in the appraising commission. At this time, it was acknowledged that the Second Presbyterian and the First Baptist churches could stay. The hearings on appraisals began in December of 1921, where the board obtained all information for evaluating the properties. The property owners of the Chalfant at that time, C.S. Weiss and Mary E. Weiss, did not dispute their appraisal. The Indianapolis Star article, “Appraisers Set Plaza Hearings: City Board Calls Property Owners to Appear Next Week” from December 3, 1921, stated that “every effort will be made to set fair evaluation on each piece of property so the city will not be forced to bring condemnation proceedings to acquire the property.” In January of 1922 reports that Elizabeth R. New, second wife of John C. New and owner of the New estate at 518 North Pennsylvania, agreed to the appraisal amount of $270,000 for the property. She was currently leasing the home for $100 a month until the scheduled demolition. The same Indy Star article, “City Buys Plaza Property,” reports that Mary E. Weiss, owner of the Chalfant, accepted the $37,292.50 appraisal. A February 1922 article, “Historic Landmarks to Fall in Clearing Ground for Indiana’s Great Memorial to Dead in War” by Guy Brenton described the Chalfant as housing the American Legion & Auxiliary while the memorial building was under construction. National executive committees met there, including one with plans for better hospitalization of disabled ex-service men and also for starting a nation-wide membership campaign. 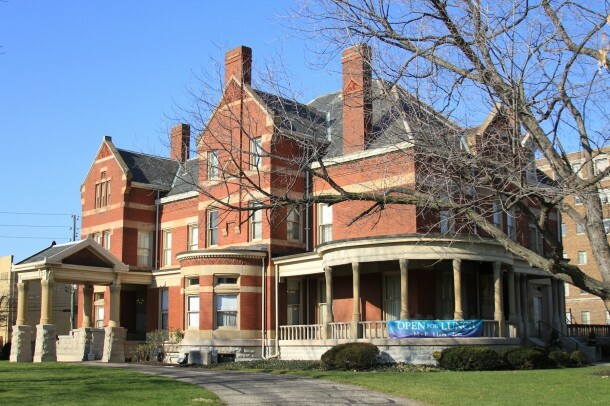 There were even debates the year before if the money spent on construction should be spent rather on providing health care for war veterans, according to Indiana Landmarks chronology on the future historic district. By 1923, all properties had been appraised. 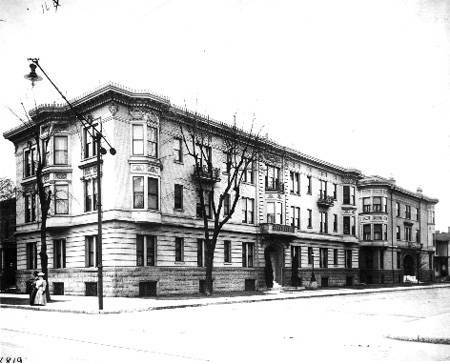 Property owners who would not accept the appraisal amount offered by the city had their properties go into “condemnation conversion.” A report from June of 1923 shows that the Delano-Cambridge apartments appraisal of $180,223 was protested by the owner E.G. Spink Co. for being $20,000 too low. Interestingly, the tax statement for the building in 1922 shows it was estimated at only $114,000. In June of 1924, the Indiana Society of Architects held their annual meeting at the Hotel Lincoln; architects for IWWM discussed memorial plans at the Chalfant, which then became headquarters for the IWWM Commission. 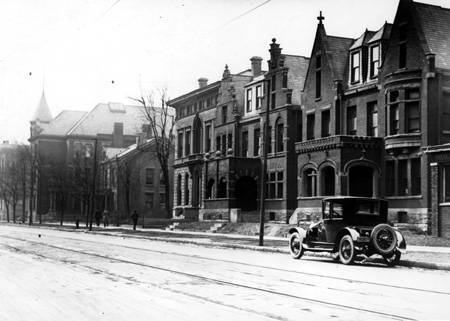 The Chalfant was demolished sometime in 1925, and after the appraisal dispute was resolved, the Cambridge was demolished in 1927. Interesting article! I had talked with someone in the Haugh family a while back. 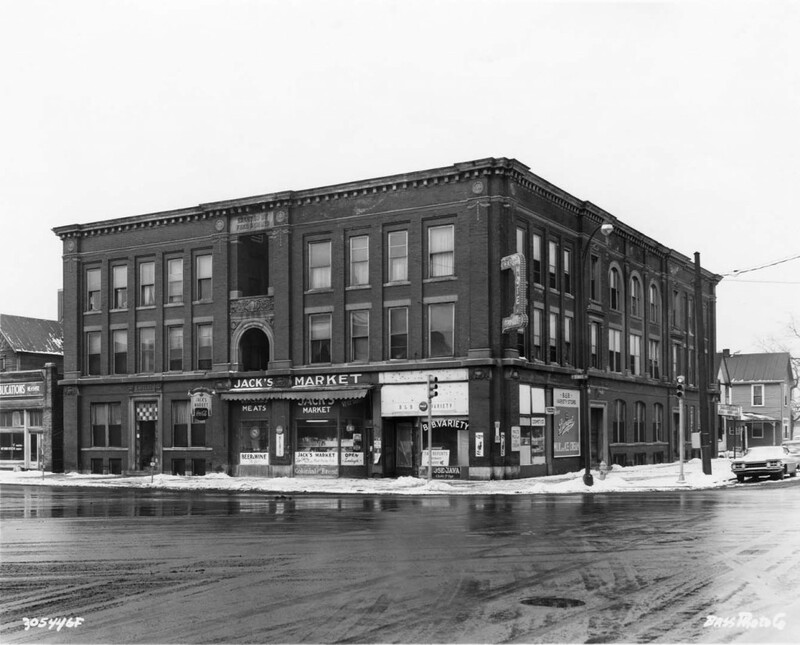 They said that the Haugh hotel was actually moved to its present location on the south side of Michigan Street instead of being demolished. Will follow this highly interesting series on how the Memorial Plaza was established…love the links followed here as well! interesting, and also sad. we’ve lost so many buildings.